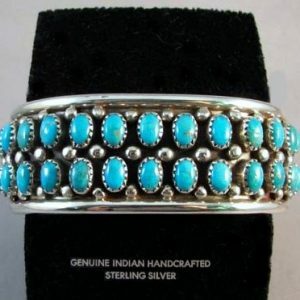 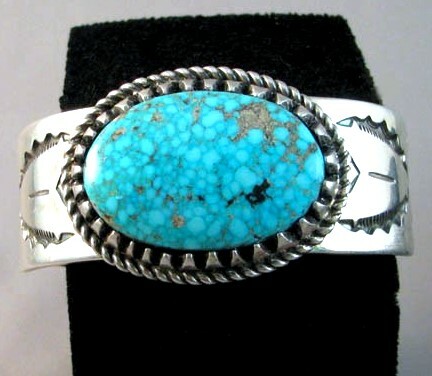 This classic Navajo cuff with a natural turquoise stone was made by Navajo silversmith Clarissa Lister-Hale. 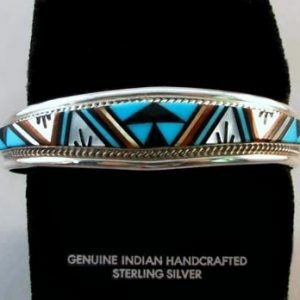 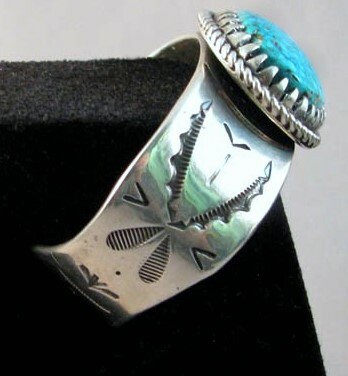 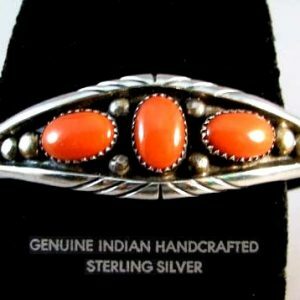 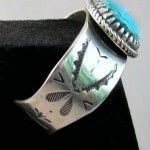 A beautiful piece of artwork with classic Navajo stamping and flared ends for comfort. 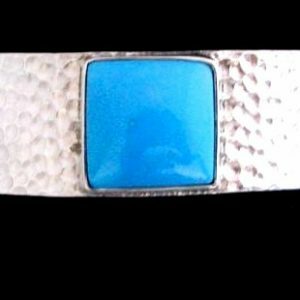 Cuff is 1 inch wide and the interior dimension is 5.5 inches plus a 1 inch gap.